Digital marketing technology has revolutionized the business world quickly in the past 5 years to help create new opportunities. If your business hasn’t yet moved toward embracing digital marketing, you might end up left behind. The basic principles of marketing, such as product messaging and placement to your target market, have not changed in the digital world. What has changed is the delivery method of your message: Artificial Intelligence. One of the most innovative technologies of our time, Artificial Intelligence (AI) has already become a part of our daily lives in the form of Siri and Alexa. When used in B2B businesses, AI is transforming the way people interact with information, brands, and services. 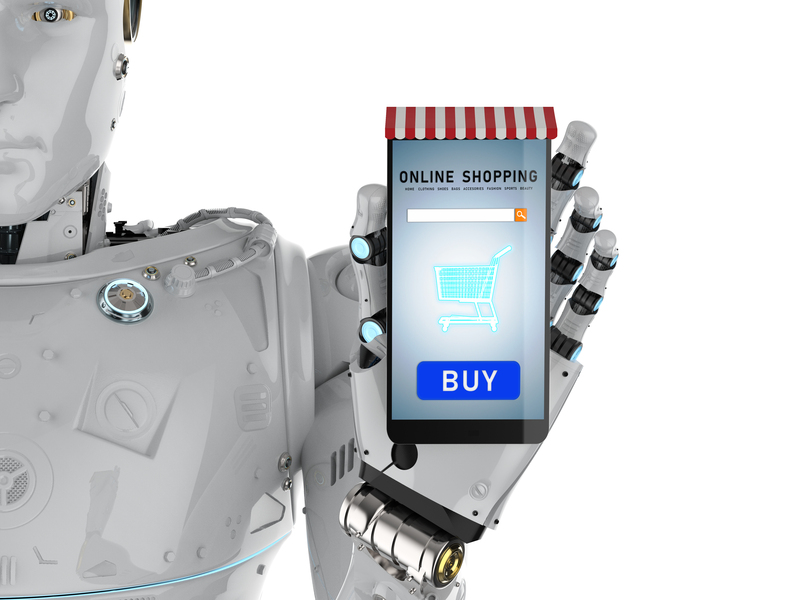 According to Blueshift, 28% of all marketers currently use AI for product recommendations and 26% for campaign optimization. Many marketers expect AI to continue this rapid increase in the near future. Another 43% of marketers currently use AI for audience expansion, and 39% for audience targeting. According to Forrester’s Global State of Artificial Intelligence, 57% of businesses currently use AI to improve their customer experience and growth. One may wonder exactly how AI helps businesses achieve their growth targets? One major factor is through the personalization of content, which is seen in the hyper-specific news articles and ads tailored just for you and your interests. 64% of marketers believe that by 2020, AI will be delivering real-time personalized advertising and optimized messaging right to your inboxes. • Which marketing channels drive revenue and which do not? • What types of content a customer retains? • At what stage of the customer journey does our content perform the best? • Where in the buying funnel are customers dropping out? 1. Planning: Predicting customer behavior, defining strategies, prioritizing activities, and determining how to allocate your marketing resources. 2. Production: Creating, curating, and optimizing content. 3. Personalization: Personalizing consumer experiences. 4. Promotion: Managing cross-device promotions, cross-channel promotions that drive engagement, and actions. 5. Performance: Turning data into intelligence to optimize performance. Remember, parameters have to be built into the machine in order for AI to work. AI does not naturally understand; a human has to create templates that adapt to each individual. We have to train these attributes into the machine. However, with proper programming AI will help businesses succeed in understanding their customers; how to acquire them, and how to retain them.